Since the launch of the iPhone 5, there has been huge demand for the latest high-end smartphone was, and Apple has hardly managed to balance supply with the demand. 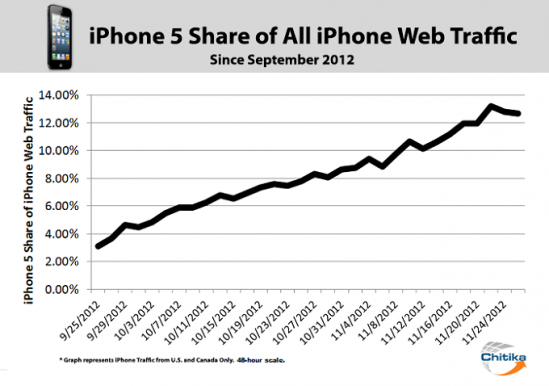 But how well did the iPhone 5 perform in terms of consumer adoption? Chitika has decided to do its own investigation. 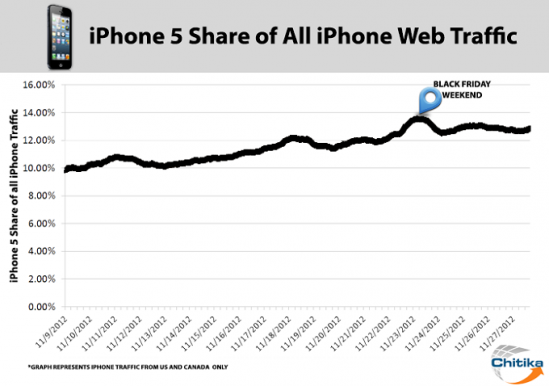 Ten weeks have passed since the iPhone 5 hit the stores with an adoption rate of 2.5% of all iPhone Web traffic recorded in Canada and the US during the first few days of availability, according to Chitika Insights. After examining millions of mobile ad impressions over the Chitika ad network from November 8 to November 27, the results speak for themselves, as you can see from the above chart: iPhone 5 Web traffic spiked at nearly 14% of all iPhone Web traffic during the Black Friday weekend. 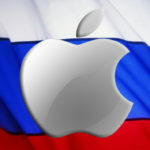 Now Apple’s latest-generation iPhone generates 12.8% of all iPhone Web traffic across the Chitika network. That’s a more than 10% rise in just ten weeks, and we can expect this percentage to rise over the holiday season.